A study at Cambridge University has found a delicious answer to reducing heart disease: Chocolate. 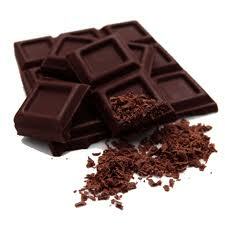 Polyphenol rich chocolate consumption can slash your risk of heart disease by about a third. One likely mechanism is an increase in nitric oxide which might lead to healthier blood vessels, reductions in stickiness of platelets and beneficial affects on blood pressure, insulin resistance and lipid levels. The findings were presented today at the European Society of Cardiology Congress in Paris.